Children are a very important part of our community and we try to make our worship as family-friendly as we can. We love the energy and vitality of our youngest members. God put a beautiful curiosity and wiggle in children that we feel should not be discouraged in God’s house. We encourage families with young children to sit toward the front where it is easier to see and hear. We hope they will feel free to sing hymns, pray, and voice the responses. And don’t hesitate to quietly explain parts of the service as needed. Children learn about worship by copying you. If you need to get up and move around because your child is restless, please feel free to do so, but please come back. There are many additional ways children, youth and their families are welcomed at this parish, some of which are listed below. Our nursery is available for children up to age three during the 9:00 a.m. and 11:15 a.m. Sunday services, in dedicated spaces convenient to Zabriskie and Immanuel Chapels. Supervised by Gilma Balcarcel, a parishioner and paid staff member with over 15 years of experience, our nursery provides a clean, safe and nurturing environment for children. 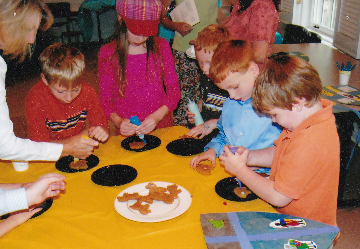 Sunday School is provided for children from preschool through 5th grade. The classes begin after the 9:00 a.m. service on Sunday mornings (September through mid-June). Volunteer teachers provide a loving atmosphere and fun learning activities ranging from storytelling, dramatic play and art for the youngest children to challenging ​games and discussions for the older children. We use a variety of curricula, including Weaving God's Promises, the Episcopal Children’s Curriculum, and others. Children may join Sunday School on any Sunday. 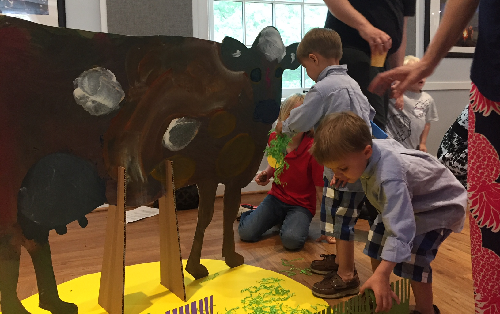 A liturgy of storytelling, prayer and reflection offered for 3-7 year olds as an alternative to the Liturgy of the Word during the 9:00 a.m. service at Zabriskie Chapel. Designed to help children worship and learn to know God in a developmentally appropriate setting. Godly Play participants meet at 8:55 a.m. and join their families for Holy Communion later. On the first Sunday of each month, the 9:00 a.m. service at Zabriskie Chapel is designed for children, but is open to worshipers of all ages. EYC, the Episcopal Youth Community, is the youth group that engages 6th through 12th graders. Service, fellowship, and fun are at the heart of their activities. We have a robust and diverse calendar with events scheduled every month. In addition, we have a monthly Breakfast Club featuring youth chefs and guest speakers. ​ All youth are invited to join us at any point through out the year.